Hard disk drives have become so commoditised that most users assume that one hard disk drive is no different from another. That’s not true, of course, because there are performance-grade drives, NAS-optimised drives, and even surveillance hard disk drives. Even mainstream hard disk drives have seen remarkable improvements in reliability and performance over the years. The hard disk drive industry is highly competitive, with many manufacturers competing for the same piece of pie. Hence, mainstream hard disk drives tend to be developed with cost in mind. As a general rule, they tend to use older technologies, have lower storage capacities, lower performance, and shorter warranties. Over the years, hard disk drive manufacturers have fallen, merged, or been bought up by their rivals. Today, only three hard disk drive manufacturers remain – Western Digital, Seagate and Toshiba. Paradoxically, the reduced competition was actually good for the consumer. There was less pressure to compete solely on price. This allowed better mainstream hard disk drives to be developed. Today, mainstream hard disk drives are at the forefront of hard disk drive technologies. Even the most basic models feature the latest interface, platter technology and come with large caches for higher performance. The newer SSHD (Solid State Hybrid Drive) models integrate flash memory technology to offer SSD-like performance, with large storage capacities and much more affordable prices. Mainstream hard disk drives are also more reliable, boasting the latest data protection features. That’s why manufacturers offer longer warranties today, with most offering 2 years warranty, instead of just 1 year. NoTouch Ramp Load Technology : The drive heads are kept off the disk surface when the drive is idle or not running, to prevent damage to the platters if the drive is dropped or knocked. Data LifeGuard : Advanced algorithms in the firmware that monitor your drive continuously to alert you of any impending failures. IntelliSeek : The drive automatically adjusts its optimum seek speeds to lower power consumption, noise and vibration. 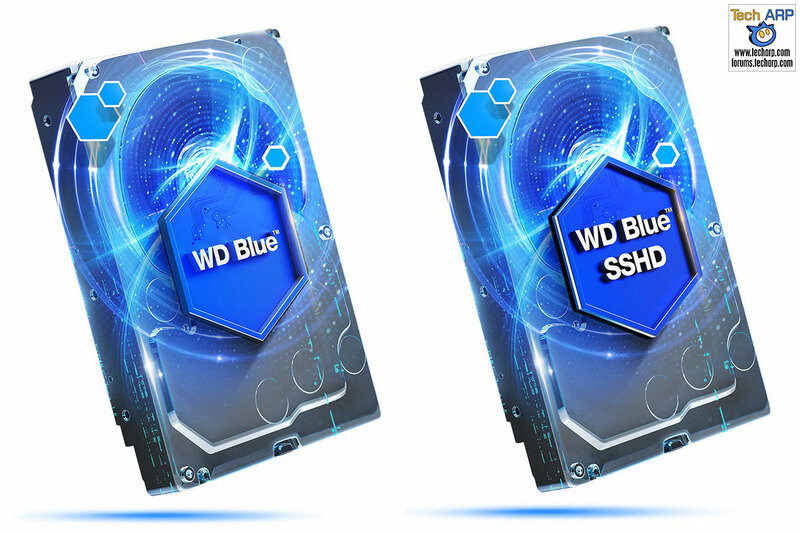 Western Digital offers the WD Blue hard disk drives in a wide variety of storage capacities to suit every need and budget. NAND Flash Technology : WD Blue SSHDs come with 8 GB of NAND flash memory to perform up to 4-5X faster than traditional 5400 RPM hard disk drives. Self-Learning Technology : Using an advanced set of algorithms, WD Blue SSHDs continuously track data usage to prioritise frequently-used data. It can adapt, learn and optimise itself as new applications and data requests change over time. Thanks to the flash memory cache, the WD Blue SSHDs offer SSD-like performance, with a large storage capacity at much lower prices than solid state drives. Next : Did Exploding Samsung Smartphones Kill 3 In Florida?